With Laverne Cox on the cover of Time magazine, and Jazz Jennings with her own television show, it’s clear that the world of transgender is itself in transition. Kate Bornstein speaks to the changing language of trans, the clear division that runs through almost every trans community, and a strategy for unifying all our new and disparate trans identities without “invisibilizing” anyone. 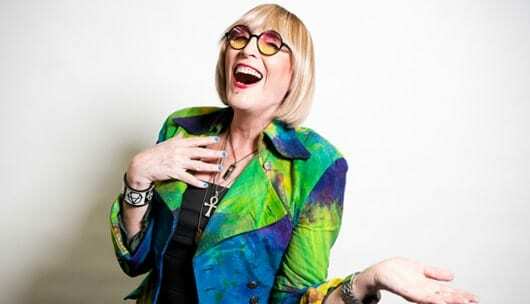 Author, activist, performance artist, and gender theorist Kate Bornstein is one of the most influential voices in the discussion of gender and trans issues. She has created performance pieces and theater works, led workshops, and written several award-winning books in the field of Women and Gender Studies which are taught in over 120 colleges and universities around the world. Bornstein recently spent two months with Caitlyn Jenner and six other trans women filming season two of “I Am Cait.” She is also about to release a 25th anniversary edition of her first book, Gender Outlaw, and is working on her sixth book, Trans: Just for the Fun of It.